We’ve been running classes every month since 2005! We teach a comprehensive approach to the craft including the Power Hammer and English Wheel. Click here for class dates. 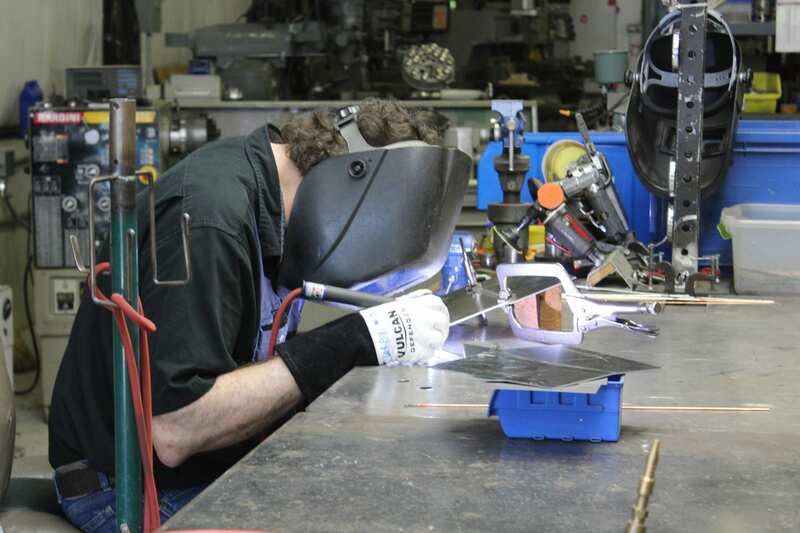 What is included in the 130 hour Metal Shaping Class Special? 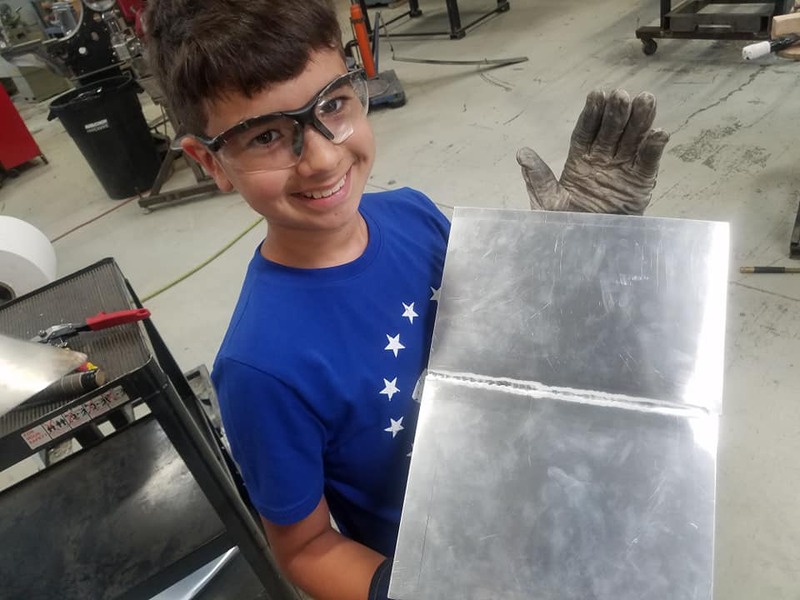 4-day (40 hrs) Coachbuilding / Metal Shaping class with the focus on all the steps to taking a flat sheet of metal, learning all the different methods of shrinking / stretching and planishing that metal and fitting that developed panel onto a buck. Welding, edge work, beading, detail work and surface quality are some of the other skill sets taught. 3-day (30 hrs) Advanced Finishing class with the focus on perfecting the surface quality and flow of panels. 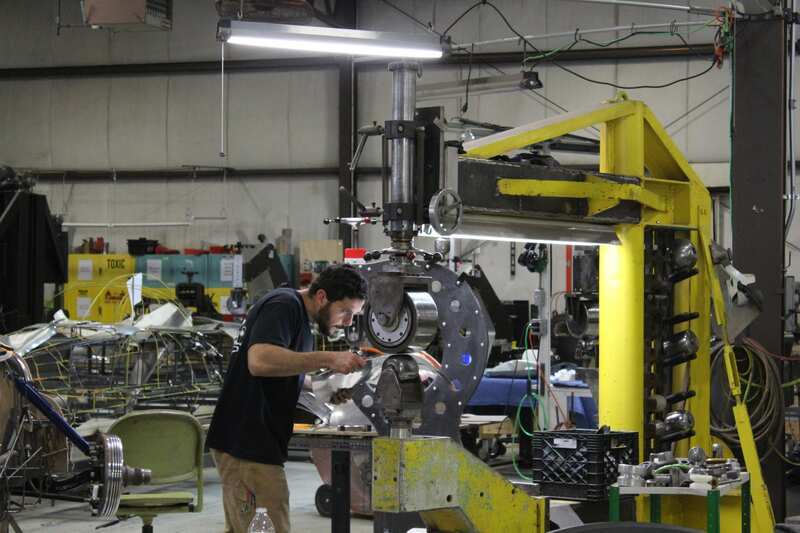 Wiring edges, flanging edges, developing the weld joint and welding together, clean up of the weld, symmetry, panel assembly flow, and all of the finishing details will be the goal of each student. Also included are 60 additional hours of additional learning which can focus on any aspect the student feels he / she needs improvement in. A total of 130 hrs of hands on classroom experience for one low price of $1500! If at this time to the you are unsure of taking the 130 hours class special please look into our 1-day Observation Special for $99! Here are a few examples of my students work during their class / extended learning programs. 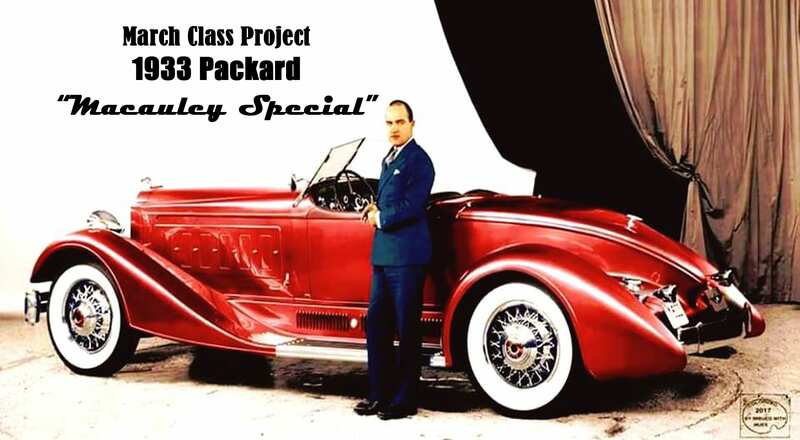 Want to build your dream car? Be it a custom one off Hotrod or a copy of an icon sports car design? 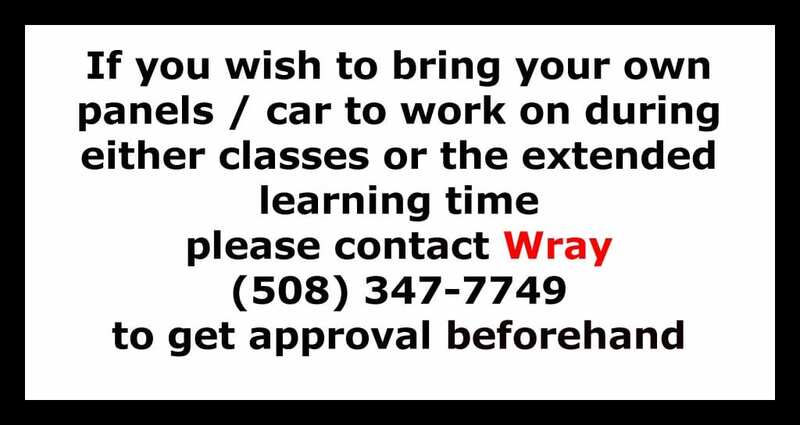 You will learn everything you need to know at Wray Schelin’s Pro Shaper coachbuilding / metal shaping class. How to create a whole car buck without having to use CAD. How to make a lot of the tools needed. Learn in a fully equipped shop with 12 English wheels and two power hammers. Interested in learning how to solve all of the sheet metal problems on your restoration project? This class will cover any and all questions you might have. Classes run from Friday – Monday 9am – 10pm. 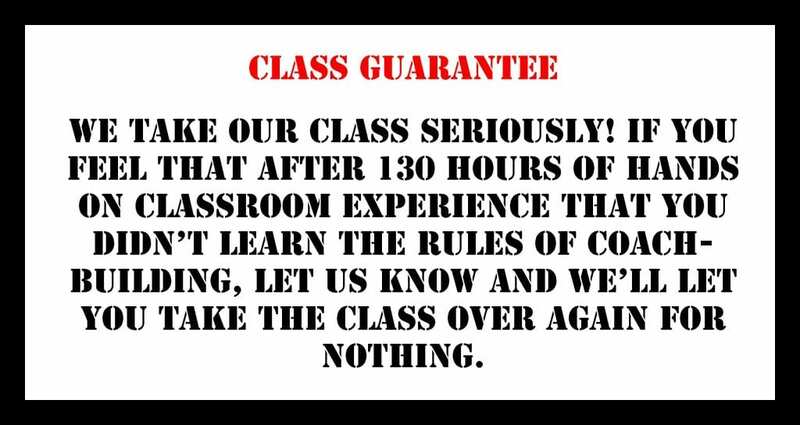 We’ve been running classes since 2005. It is recommend that students attending should bring a welding helmet, gloves, eye and ear protection a notepad and camera. We suggest using https://www.kayak.com/ to book your flight on Thursday (Tuesday thru Thursday are the best days to buy a plane ticket) for your stay we recommend you check Airbnb for some of the best rates. Please check out the Sturbridge Chamber of Commerce too. There are at least 20 other motels in the area to choose from. 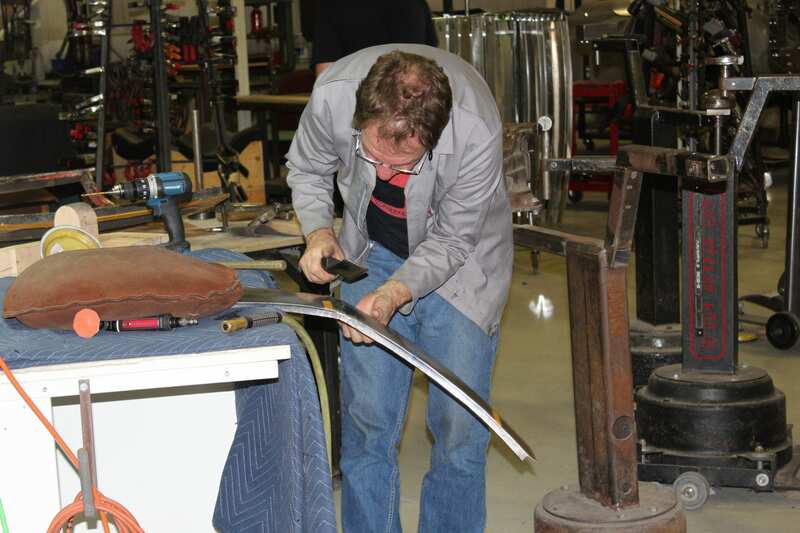 Coachbuilding / Metal Shaping Class Special $1500 for 130 hours of intensive learning!